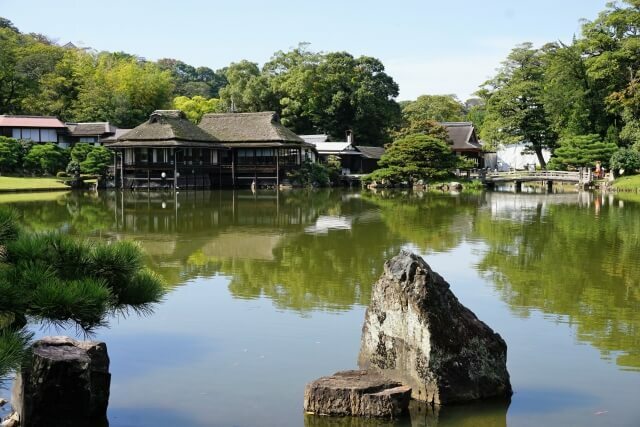 Genkyuen Garden is a Japanese garden on the eastern base of Hikone Castle in Shiga. Built in 1677 by the local lord, the garden was inspired by the works of the Eight Views of Lake Biwa and the Eight Views of Xiaoxiang, China. The garden features a large pond, bridges, tea houses and buildings, and traditional Japanese gardening techniques to invoke a sense of calm and serenity. The pond includes four small islands connected by bridges to walk along, and uses the scenery from the castle to enhance the traditional atmosphere. 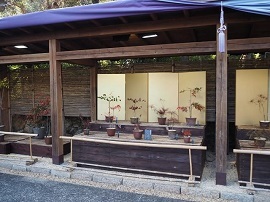 The garden features a Fall Genkyuen Illumination during November, and a nature event in September. 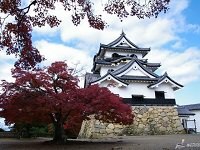 While both events are sure to be unforgettable experiences, the garden is visited year round for cherry blossom viewings, to see autumn leaves, or to relax the mind while exploring Japan. 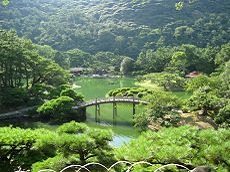 Discover this incredible garden during our line of Takayama Festival Tours and Hidden Villages Takayama Japan Tours for an unforgettable vacation through Japan!